NASA's future deep space exploration – including to Mars – is an unprecedented venture in spaceflight, requiring us to tackle challenges we've never faced before. For instance, we know the human body changes significantly while in space, and we'll need to find ways to address those effects. NASA is conducting research to learn more about the long-term impact of extended human spaceflight. One experiment that just launched, Rodent Research-9, is contributing to this goal by sending rodents to the International Space Station, to study how a lack of gravity in space affects blood vessels, eyes and joints. Using transport and habitat technology developed at NASA's Ames Research Center in California's Silicon Valley, the mice will fly to the space station aboard the 12th SpaceX resupply mission, and return to Earth about a month later. Due to biological similarities to humans, the mouse is a good choice of model organism for research aimed at understanding biological changes caused by the space environment. By studying rodents in the short term, NASA can make predictions about long-term human biological change in space, with applications here on Earth as well. "Space biology scientists have observed accelerated changes in mouse physiology in the space environment that are characteristic of some human diseases, such as osteoporosis and aging," said Kevin Sato, the project scientist for the space biology project at Ames. "Similar changes have been observed in astronauts, so the space environment allows scientists to study physiological changes in the astronauts using the mice as a model." 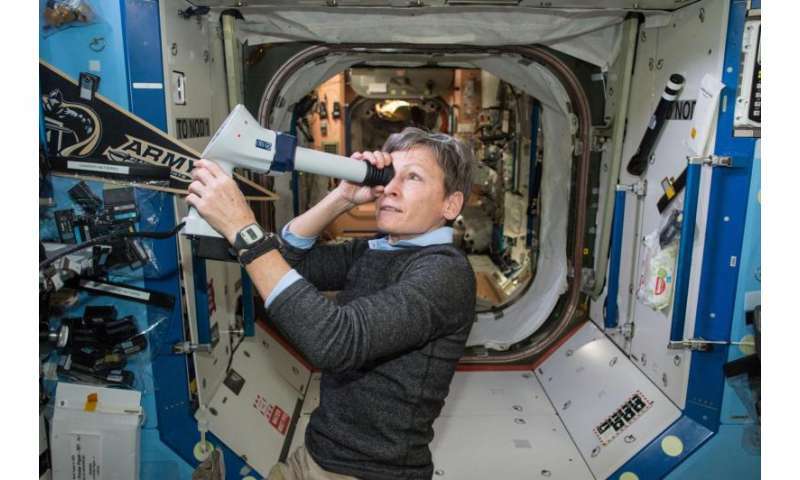 "We can also investigate physiological disease processes, which normally take years to develop, during the duration of a space flight investigation," said Sato. "The changes we see during this rodent research experiment will allow us to better prepare our astronauts for long-term exposure to low-gravity environments." With limited opportunities to send experiments to the space station – the only true microgravity laboratory that exists – NASA must use each mission to its full capacity. For Rodent Research-9, the agency's space biology program is sponsoring three scientists from different universities to address different issues. NASA's bio-specimen sharing allows the three investigators to work with the same group of mice, without having to send three different missions to the space station. The three complementary research investigations will be combined into one cost-effective mission, addressing questions that are fundamental to human space exploration. Two of the investigations will identify how microgravity affects blood vessels in the brain and in the eyes. Some astronauts on long missions on the space station find that their vision becomes impaired. The leading theory to explain this suggests that, without Earth's gravity, fluids shift from the lower to the upper body, causing an increase in pressure in the head and eye, leading to visual impairment. The experiments with mice will help test this theory. Exposure to weightlessness also can cause tissue degeneration in hip and knee joints. The third experiment on RR-9 will look at cartilage loss in these joints. Researchers will study how the gait of the mice – their manner of walking – is changed by these conditions. Understanding how weightlessness affects cartilage will help NASA develop ways to counter these adverse effects, allowing humans to stay healthier in space for longer periods of time. For humans here on Earth, rodent research related to limited mobility and degrading joints can help scientists understand how arthritis develops in people, and a better understanding of the visual impairments experienced by astronauts can help identify causes and treatments for eye disorders. NASA's ongoing series of rodent research investigations use a proven and standardized hardware system. For decades, Ames has designed, constructed and tested hardware for rodent research experiments, including rodent habitats, transporters and an animal access unit. 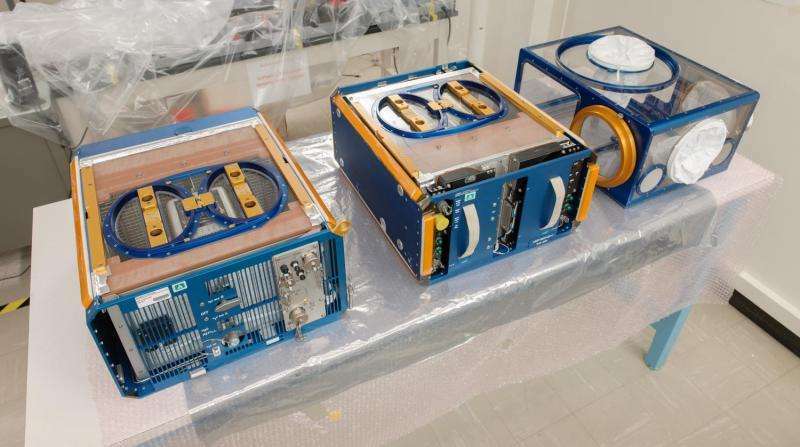 This hardware is versatile and reusable, providing ongoing support for space-related rodent research carried out by NASA and its partners in industry and academia. "This kind of in-depth research is possible because of the unique hardware Ames has been able to provide for rodent research," said Janet Beegle, rodent research project manager. "By transitioning from a payload system – where a researcher's team would start from scratch each time we send up an experiment – to a permanent hardware facility provided by NASA, we can have an ongoing and consistent rodent research presence on the station." Through well-designed and cost-effective experiments such as Rodent Research-9, NASA is tackling the obstacles in our path to reaching Mars and beyond. With the knowledge gained by understanding how human biology thrives and changes in space, we can better serve human needs on Earth and beyond.